When seventeen, I started to accompany the East German family circus “Zirkus Rolandos”. During my education at Ostkreuzschule in Berlin I intensified my pursuit with “Rolandos” and searched all over Europe for extraordinary circuses. I stumbled upon the first and only circus in Iceland, Sirkus Islands, which I visited and whose staff I’ve been documenting since it’s early years. I presented this series of photographs in an exhibition as my graduation work. For Like a Bird I travelled to Palestine (Westbank and Gaza), Afghanistan and the Islamic Republic of Iran. I was especially curious about the role of women in circus life and the environment the circus is based in – thankfully I was able to get access to the female culture in conservative societies like Iran and Afghanistan as I am myself a woman. 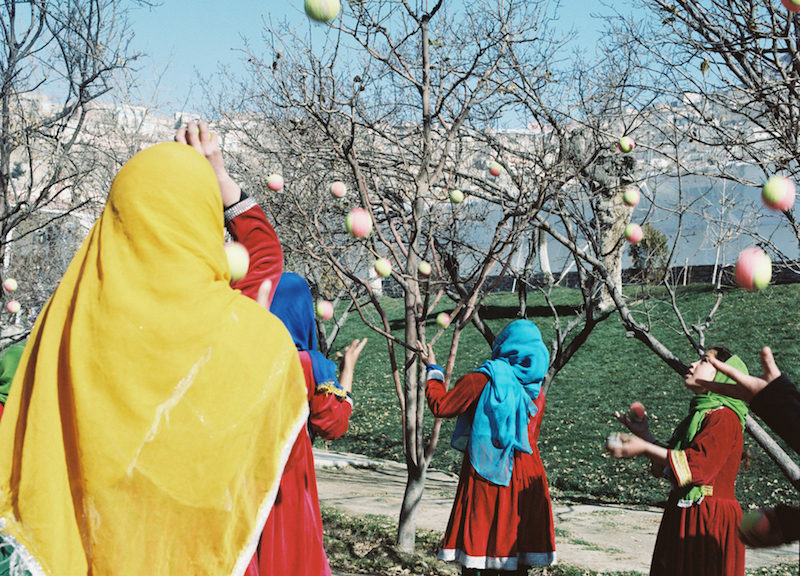 With my work I pursue the object of overcoming prejudices and show how small communities are able to function in these conservative or conflict-ridden countries. I direct a spectators view to different worlds: The one of the circus as well as the society surrounding it and how the social fabric of the circus influences the outside and gets influenced itself in reverse.